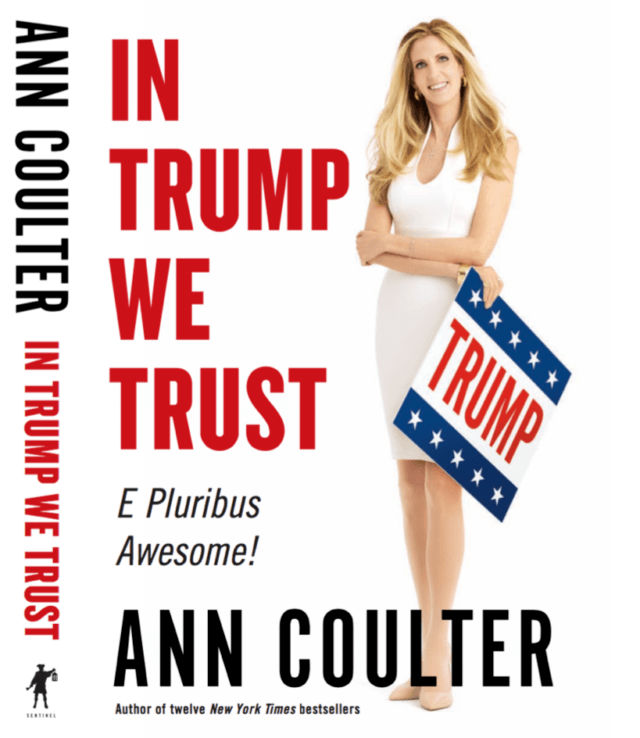 Conservative columnist and 12-time New York Times bestselling author Ann Coulter is set to rock the political world yet again with what is sure to be another highly successful book: In Trump We Trust: E Pluribus Awesome. Ann Coulter’s new bombshell book is set to explain the Trump phenomenon, and why Donald Trump has risen up against all odds to become the Republican Party’s 2016 presidential nominee. Click here to view the final cover with flaps! 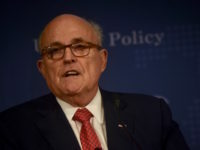 Perhaps there is nobody better to break down why Trump has been enormously successful in the Republican primaries — and why he’s way better for America than Democratic nominee Hillary Rodham Clinton — than Coulter. That’s because Coulter’s last book, Adios America, provided a blueprint of sorts for Trump’s campaign. In it, Coulter detailed crime after crime — murders, rapes, and more — that illegal aliens were allowed to commit in America because the United States government let them stay here rather than deporting them. Coulter’s book set the tone for the 2016 GOP presidential primaries and walked through many more details about how America has been barreling toward becoming a third world country under the globalist policies of the Democratic Party and many in the Republican establishment. 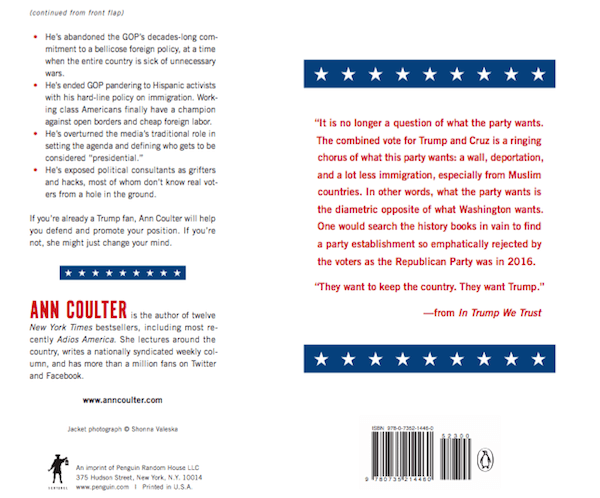 The new book cover and flaps, provided exclusively to Breitbart News ahead of their public release, show Coulter in a white dress with a Trump sign on the front and a simple design on the back with a blue bar with stars and red text in between. The flaps explain exactly what In Trump We Trust: E Pluribus Awesome is all about. It continues by noting that Trump has been the biggest story of the election. The media have twisted themselves in knots, trying to grasp how he won over millions of Republicans and what he’d be like as president. But Ann Coulter isn’t puzzled. She knows why Trump was the only one of seventeen GOP contenders who captured the spirit of our time. She gets the power of addressing the pain of the silent majority and saying things the “PC thought police” consider unspeakable. She argues that a bull in the china shop is exactly what we need to make America great again. In this powerful book, Coulter explains why conservatives, moderates, and even disgruntled Democrats should set aside their doubts and embrace Trump. From there, and continuing on the back flap, it breaks down several bullet points of why to support Donald Trump over Hillary Clinton. “He’s putting America first in our trade deals and alliances, rather than pandering to our allies and enemies,” the first bullet point reads. 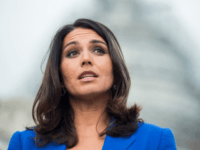 “He’s abandoned the GOP’s decades-long commitment to a bellicose foreign policy, at a time when the entire country is sick of unnecessary wars,” the second one reads. 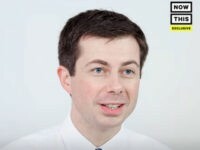 “He’s ended GOP pandering to Hispanic activists with his hard-line policy on immigration. Working class Americans finally have a champion against open borders and cheap foreign labor,” the third one reads. “He’s overturned the media’s traditional role in setting the agenda and defining who gets to be considered ‘presidential,’” the fourth one reads. 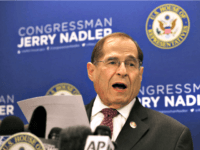 “He’s exposed political consultants as grifters and hacks, most of whom don’t know real voters from a hole in the ground,” the fifth and final one reads. Coulter’s newest book will hit shelves on August 23, just in time to take control of the narrative heading into the all-important final two months of the presidential election. It is available for pre-order on Amazon right now.